LED ZEPPELIN, CELEBRATION DAY. SHEET MUSIC BOOK WITH VOCAL & GUITAR TABLATURE. LIBRO DI MUSICA HARD ROCK. 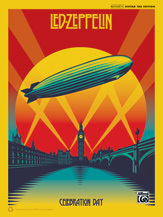 On December 10, 2007, Led Zeppelin reunited to headline the Ahmet Ertegun Tribute Concert at the O2 Arena, London. 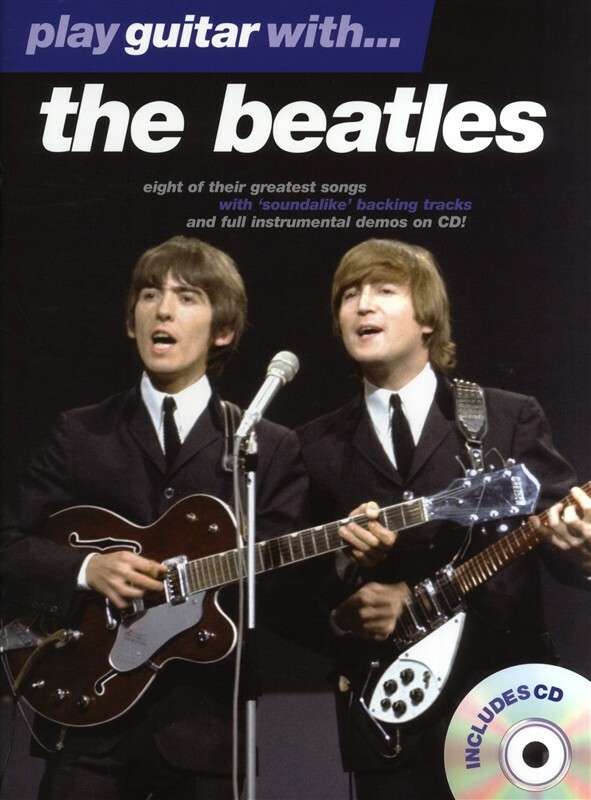 This exclusive songbook presents authentic guitar TAB transcriptions of the 16 classic songs that made up the set, based on the original studio recordings. Titles: Good Times Bad Times * Ramble On * Black Dog * In My Time of Dying * For Your Life * Trampled Under Foot * Nobody's Fault but Mine * No Quarter * Since I've Been Loving You * Dazed and Confused * Stairway to Heaven * The Song Remains the Same * Misty Mountain Hop * Kashmir * Whole Lotta Love * Rock and Roll. All new transcriptions and tracks drawn from more than 30 years of documentation, interviews, and recorded footage. These TABs and tracks deliver unprecedented accuracy and insight into the guitar-style of Jimmy Page. 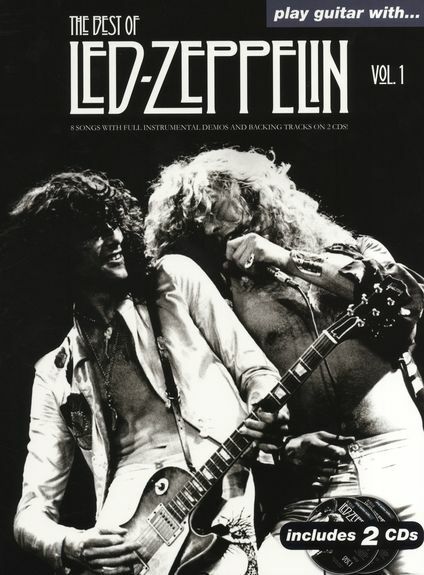 This book includes complete music notation and TAB transcriptions to eight Led Zeppelin classics. There are two versions of every song on the included CDs: an instrumental sound-alike recording, and an instrumental accompaniment track (without guitar) so you can play along. When you use the CDs in your Mac or Windows-based computer, the TNT (Tone ’N’ Tempo) Changer lets you easily loop sections for practice, slow tracks down or speed them up without changing the pitch, change the key, and switch back and forth between full instrumental and accompaniment tracks. KING B.B., PLAY GUITAR WITH... . Backing tracks. Jam per voce e per chitarra. Every day I have the blues -Lucille- please love me -rock me baby -the thrill is gone -woke up this morning. CD TAB. 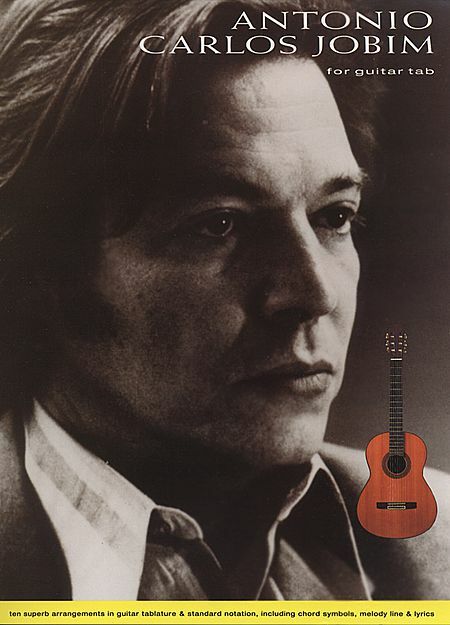 JOBIM ANTONIO CARLOS, FOR FINGERSTYLE GUITAR. Agua De Beber (Water to Drink) -The Girl from Ipanema (Garota De Ipanema) -How Insensitive (Insensatez) -If You Never Come to Me -Meditation (Meditacao) -O Morro Nao Tem Vez (Favela) -One Note Samba (Samba De Uma Nota So) -Quiet Nights of Quiet Stars (Corcovado) -Slightly out of Tune (Desafinado) -Wave. TAB. 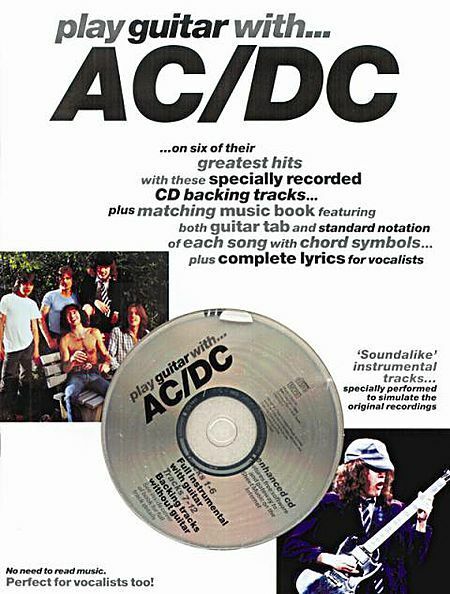 Play Guitar With Australian Rock gods AC/DC on six of their greatest hits with these specially recorded CD backing tracks! Learn the virtuosic fret magic of Angus Young with the matching music book which features both guitar tablature and standard notation for each song. Chord symbols and the complete lyrics are also included for rhythm guitarists and vocalists. Includes the famous favourites Back In Black, Highway To Hell and Whole Lotta Rosie. When you know the music, the accurate backing tracks allow you to take the lead and play as though you are part of the band! ADAMS BRYAN, PLAY WITH (THE EARLY YEARS). Basi per voce e per chitarra. Can't stop this thing we started -kids wanna rock -(everything I do) I do it for you -run to you -somebody -summer of '69. CD TAB. Basi per voce e per chitarra. 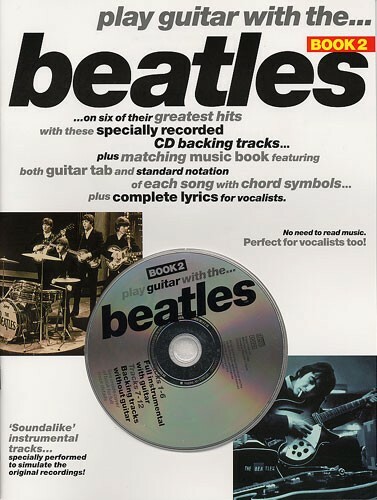 Backing tracks for six of The Beatles' greatest hits, specially recorded on this CD plus matching music book which features both standard and guitar tab notation of each song, plus chord symbols and complete lyrics for vocalists. The CD gives you two recorded backing tracks for each song: a full demo with guitar and a backing track without guitar for you to play along with. BEATLES, WITH. Basi per voce e per chitarra, con preasolto. Contiene: day tripper -dear prudence -get back -I feel fine -norwegian wood -paperback writer -sgt. Pepper's lonely hearts club band -yesterday. CASSETTA TAB. 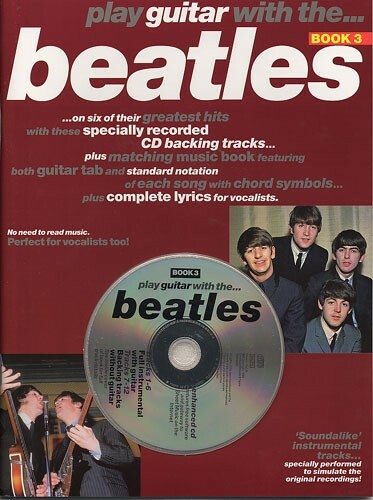 The second 'Play Guitar With The Beatles' book and CD. Play guitar and sing along with the specially recorded CD backing tracks of six great songs. The matching music book features both standard and guitar tab notation of each song, plus chord symbols and complete lyrics for vocalists. BERRY CHUCK, PLAY GUITAR WITH. Basi per voce e per chitarra. Around and around -brown eyed handsome man -Carol -little queenie -no particular place to go -Johnny b goode. CD TAB. 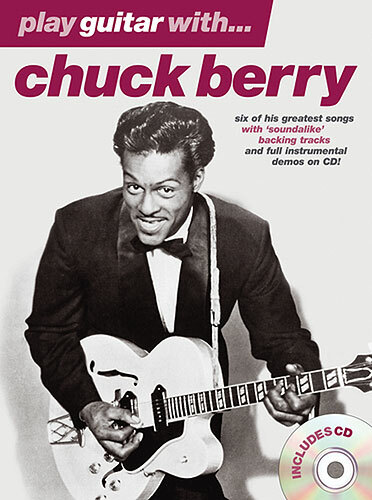 Six of his greatest hits including Johnny B. Goode and No Particular Place To Go. Play or sing along with the specially recorded backing tracks.